Among many procedures and options to get a beautiful smile, veneers remains as one of the most popular and effective. Many patients come to Los Algodones to get veneers to fix and perfect their smile. Today I want to talk a little about it so you know more about this amazing procedure. 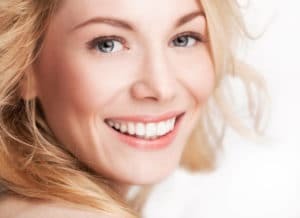 If you are on the fence about getting veneers, this article is a must read for you! 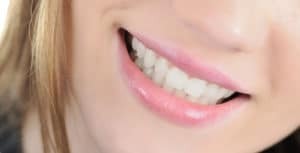 As one of the best dentists in Los Algodones, the staff of Dental Solutions suggests that if you are in town, come by to our office to get a FREE evaluation and prices for veneer. You can get amazing deals with us for any dental treatment you need, including dental implants! A Veneer is a dental procedure that consists on putting a mask in front of your tooth. This mask will look really nice and white, giving you the look of a perfectly shaped tooth. It is such an amazing option for patients who have chipped teeth and stained teeth. It is also a great choice for people who do not want to get crowns and want to preserve most of their natural teeth. This will depend mostly on an evaluation made by a dentist as not every tooth is a candidate for veneers. Luckily there are many options available just as amazing as veneers. So don’t be discouraged if you cannot get veneers, there is always a treatment perfect for you. As for the treatment itself, the dentist will wear the tooth down in the front just enough so he or she can glue the veneer. It is simply and effective. Veneers can come from different materials. This will affect their look, durability and price, of course. The cheapest one are made from composite resin, and although they can look good, they tend to fall off and break easily. I recommend getting full porcelain, not only they look great they can last a lifetime if you take good care of them. Finally you can get zirconia veneers, they look incredible and are really sturdy. The only downside I can point is that they can get expensive. Another con is that they are heavy, so you may have to think it twice before getting many of this type of veneers. There popping up many DIY at home kits to get your veneers. I highly suggest avoiding these as they are not safe to use. They are really ineffective to give you the nice look you deserve and want. You will be a thousand times better going to a dentist to get your veneers. Not only we use better materials such as porcelain, we give you warranty so you can leave our office with the perfect smile. To find our office we are located 7 miles southwest from Yuma, Arizona in Los Angodones Mexico. Send us a message or give us a call to know more about our prices. Making an appointment is really easy and we will be more than happy to help you get the smile you always wanted.